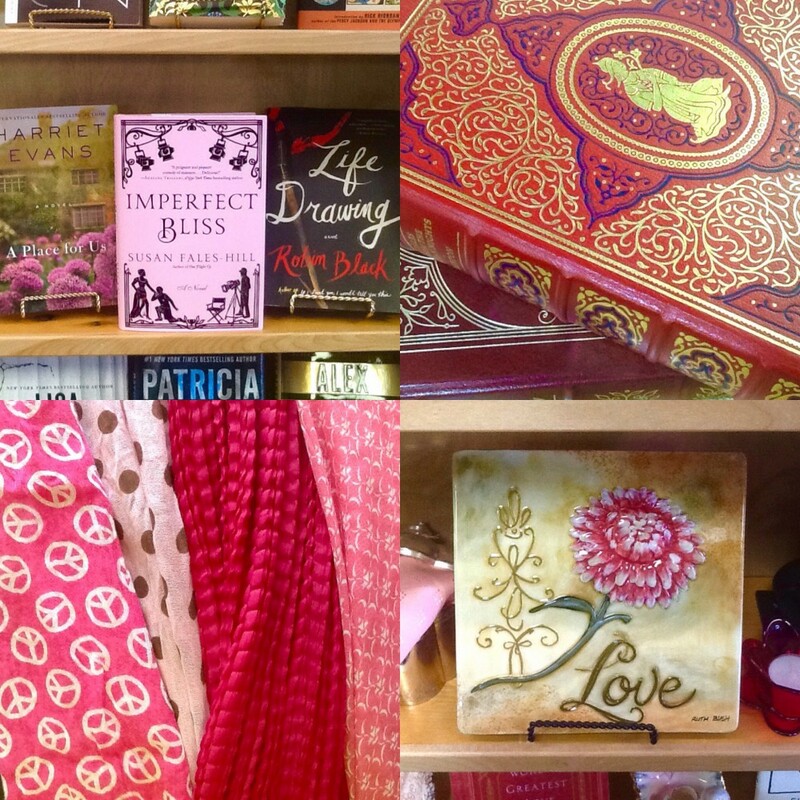 Valentine’s Day is approaching fast so don’t forget to pamper a loved one or yourself with a gift from Book Shop & Gifty Things Vintage! We have a fantastic selection of beautiful books, luxurious scarves, jewelry, art glass, lamps, vintage furniture, and so much more. 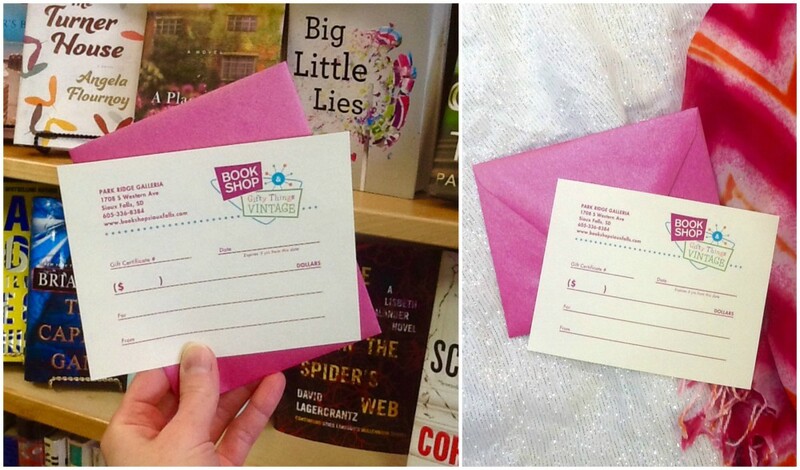 We also have pretty and colorful gift cards, the perfect present for every shopper! We hope to see you soon – Happy Valentine’s Day! Help a local writer publish his first novel! Are you interested in contributing very directly to a member of the creative community right here in Sioux Falls? A fantastic opportunity to do so came to our attention last week and we’d like to share it with you! Sioux Falls writer C.G. Clark is conducting an online campaign to raise the funds needed to self-publish his first novel. The campaign, run on Kickstarter.com, will fund the 25-year-old author’s publishing, marketing, and distribution costs, as well as offer unique perks to the donor. A lifetime resident of South Dakota, Clark has been writing and editing his first book for the past four years. Titled “The Humming Blade,” Clark describes it as a fast-paced, high-action fantasy adventure story for all ages. Clark decided to pursue self-publication after becoming frustrated by the difficult nature of traditional publication methods. Clark’s career as an author began during his time as a student at South Dakota State University. After two years as an English major, Clark decided to leave school in order to dedicate his energies to becoming a full-time writer. He is extremely enthusiastic about the Kickstarter process, and plans to put as much time and energy as he can into it. Clark is also excited about the prospect of establishing a relationship with his readers before his book is a tangible product. Because Kickstarter projects are entirely crowd-funded, Clark has the chance to find support in the local community and really connect with the people who he’s asking for help. All of us here at Book Shop & Gifty Things Vintage would like to wish C. G. Clark the best of luck with funding for this novel and with future writing endeavors! Visit here to learn more about his novel and to help him reach his goal! You can connect with C. G. Clark on Twitter or at his website. We are very excited to announce the launch of our new online store! Our inventory of books is now online for your browsing and shopping pleasure. We’re able to ship to you if you’re located in the United States or Canada. There have been a few new arrivals in our local South Dakota section this week. Pictured below are just a couple of them! This recent arrival is a special publication put out by the South Dakota Archaeological Society called Rock Art of Western South Dakota, the North Cave Hills, and the Southern Black Hills. The book is filled with line illustrations, maps, and a few photos. Our price is $23.50.